Prof. Guido Torzilli is leading the team of hepatobiliary surgery in Humanitas Research Hospital, and is Professor of Surgery at the University of Milan. He was appointed as Fellow of the Japanese Foundation for Promotion of Cancer Research, Phd at the University of Tokyo, is member of the European Surgical Association, and is Fellow of the American College of Surgeons. His academic career started at the University of Tokyo where he acted as Assistant professor of Surgery at the Dept of Hepatobiliopancreatic Surgery chaired at that time by his mentor Prof Masatoshi Makuuchi. 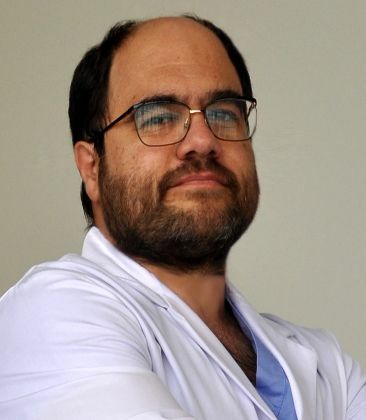 His team in Humanitas, although being relatively young with a mean age below 40 years, is one of the leading team internationally recognized in the field of liver surgery having an expertise, of over 1000 hepatectomies, of which more than 500 hundred for metastatic disease, more than 400 for hepatocellular carcinoma and more than a 200 for biliary tumors. This activity is featured by the highest level of safety with an overall mortality of less than 1%, and by the highest oncological complexity of the patients treated with one of the larger series of single session removal of colorectal liver metastases, the highest number of lesions ever removed in a patient in a single operation, and one of the higher rate of advanced primary tumors successfully treated. Moreover, the team is well known for the originality of the skills developed in the recent years featured by new surgical procedure to face safely to tumor presenting high complexity. The team in particular is a worldwide recognized leader in ultrasound guided liver surgery by introducing for the first time the use of contrast agents intraoperatively for better tumor staging and by developing new techniques for saving normal hepatic tissue although clearing the liver from all the tumor whenever their anatomic position and relationship is.